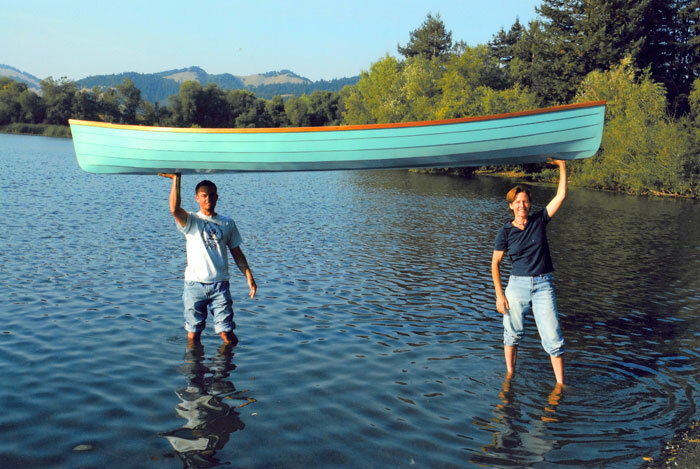 Lori Jamieson and her young apprentice, Cory Lacey, built this 14-foot canoe from Jamieson's design. 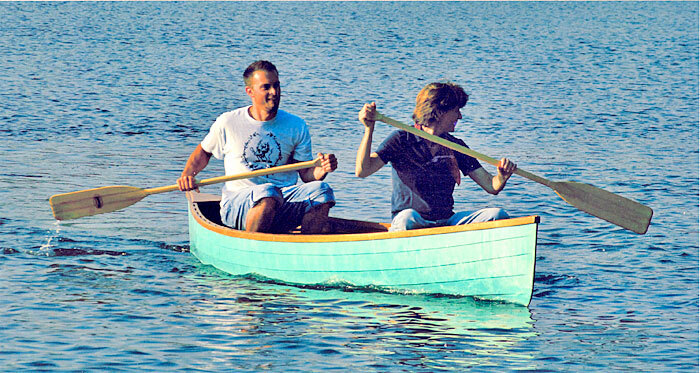 She wanted stable, light recreational canoe, and drew these plans after reading a few books including Ultralight Boatbuilding and Featherweight Boatbuilding. They launched the 45-lb. BLUE in October 2006 at Spring Lake in Santa Rosa, California. Lori already has a few more designs planned.